Much of the programming at the Green Party National Convention in Houston this weekend seemed calculated to appeal to disaffected Democrats. HOUSTON — Like most of those who cast a ballot in the Texas Democratic Primary in March, Sheereen Ibtesam voted for Hillary Clinton. But last month’s Wikileaks release of emails that showed Democratic National Committee officials strategizing about how to weaken the candidacy of U.S. Sen. Bernie Sanders made her regret her vote and question the process she had participated in. Ibtesam had never attended a Green Party event before she arrived at the party’s national convention in Houston this weekend, but she said she felt right at home. For third parties like the Greens, presidential-year conventions lack the slick production value and precise choreography on display at the major party events. With minimal television coverage and hundreds of attendees instead of thousands, the Greens don’t speculate about a post-convention bounce in the polls. But in Texas, the party is hoping that holding the convention on home turf will translate into more connections between local party groups, more interest in the party across Texas and, especially, Green votes from former Sanders supporters. That prospect leaves them counting on the convention to energize long-time supporters and win new ones, particularly among disappointed Democrats. Kevin McCormick, co-chair of the Dallas County Green Party, said he had seen a similar trend in his area. He attributes the increase to Democrats who voted for Bernie Sanders seeking an alternative to Hillary Clinton. More than 500 people attended the Green Party National Convention, according to national party co-chair Tamar Yager, compared to 300 in 2012. 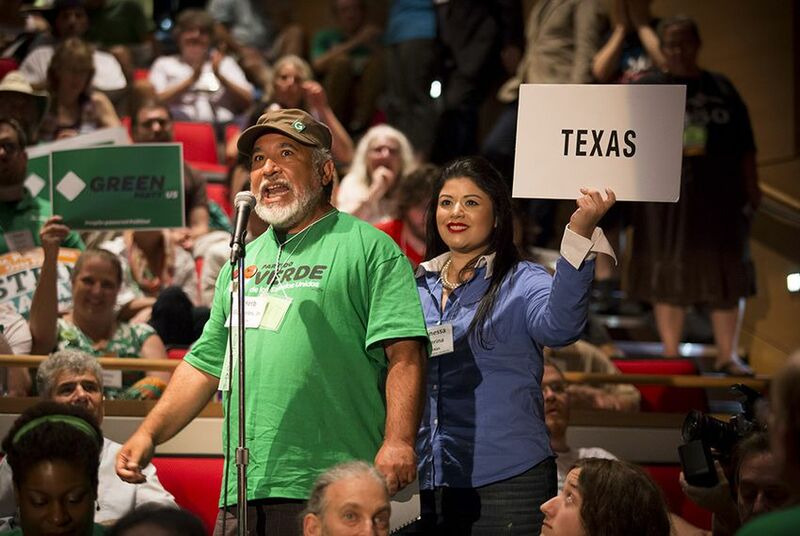 Close to 175 Texans attended the convention, many of whom said they had never been involved with the Green Party before. Alison Bittick, a 26 year-old from Denton County, and Jade Moore, a 22 year-old kinesiology major at the University of Houston, were Sanders delegates to the state party convention in June. They said the primary process left them disillusioned with the Democratic Party and unwilling to vote for Hillary Clinton. Though dozens of Bernie-or-Busters-turned-Green-Party supporters traveled to Houston to see Stein officially win her party’s nomination, they were likely not representative of Democrats as a whole. 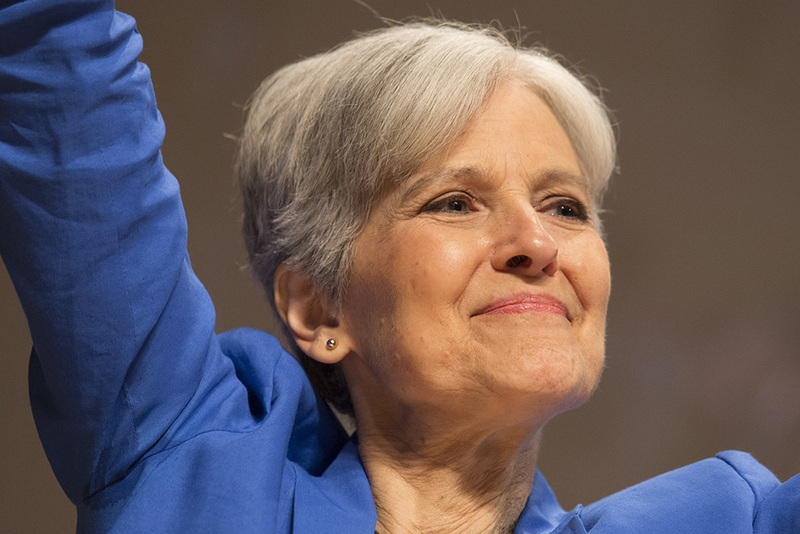 A recent NBC/Wall Street Journal Poll showed Stein with support of 5 percent of the electorate, indicating that Sanders supporters have not yet flocked to her in droves. Gloria Mattera, chair of the national campaign, said Stein was still developing her campaign schedule for the fall but planned to do a push in right-leaning states in the South, where Democrats don't often campaign, perhaps including Texas. 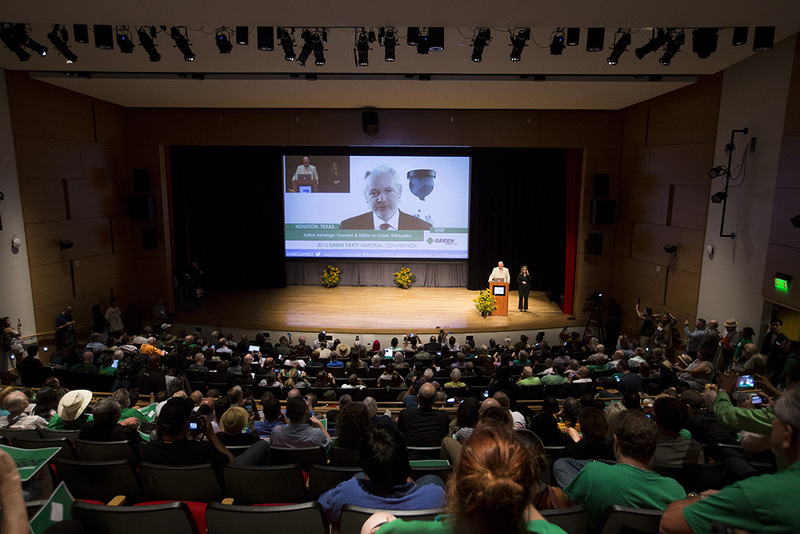 But inside the University of Houston Student Center, where convention attendees frequently broke out into chants of “Jill not Hill” and “We are the 99 percent” and Stein delivered a passionate acceptance speech pledging to eliminate student debt, end police violence and enact a "Green New Deal" to provide jobs and clean energy, it was easy to forget the Green Party’s tiny national support and challenging future in Texas.